American courts are taking aim at assault weapons – and putting a freer market in sight. Several federal judges recently upheld bans on the guns, which their makers call modern sporting rifles, adding heft to a Connecticut lawsuit that tests rules shielding firearms manufacturers from liability. The case is still a stretch, but growing recognition of limits on gun rights may eventually force the likes of Remington Arms and Smith & Wesson to compete without unfair legal protection. The deadly 2012 shooting at a Newtown, Connecticut, elementary school prompted New York, Maryland and other states to prohibit sales of semi-automatic high-capacity weapons like the AR-15 used in the massacre. Families of the victims targeted the gunmakers themselves, testing a loophole in the 2005 Protection of Lawful Commerce in Arms Act. That law bars most lawsuits but allows claims of “negligent entrustment” – supplying a product used to inflict harm. The suit alleges Remington, a gun distributor and a seller owned at the time by private equity firm Cerberus, negligently and willfully entrusted the public with a military-style rifle that was never meant for civilians. The families face an uphill battle proving the dealer knew or should have known the gun would be used for nefarious purposes, as the law requires. The protections for manufacturers like Remington are even tougher. Yet a judge is hearing the case only about 20 miles from the tragedy, and she seemed receptive to the families’ arguments at a hearing last month. Developments beyond Connecticut may also help their case. On Friday, a federal appeals court gave Maryland’s assault-weapons ban a reprieve, just days before opponents of New York’s conceded defeat and declined to seek Supreme Court review – citing the death of gun-rights champion Justice Antonin Scalia as a factor. Other appellate judges have let prohibitions on these weapons stand, acknowledging there are highly lethal firearms that even the right to bear arms may not cover. That’s potentially powerful support for a ruling in favor of the Newtown families. And if their case succeeds, gunsmiths might join virtually every other U.S. company in being legally accountable for selling an unreasonably dangerous product. As things stand now, the likes of Remington, Smith & Wesson and Sturm Ruger can engage in risky behavior that other firms must avoid. Gun-rights advocates say that’s just the price of freedom under the Constitution’s Second Amendment. It sounds, however, a lot more like blatantly unfair competition. A U.S. court of appeals on March 4 agreed to rehear a case challenging Maryland’s ban on semi-automatic high-capacity assault weapons, a law passed after 20 first graders and six educators were killed in a 2012 shooting at a Newtown, Connecticut, elementary school. The rehearing by the full court in Virginia extinguishes a three-judge panel’s decision that required the trial judge, who had upheld the law, to analyze it under a stricter legal standard. That standard would almost certainly require the law to be overturned. The ban remains in effect pending the appeals court’s final ruling. New York, California, Massachusetts and three other states have similar assault-weapons bans. 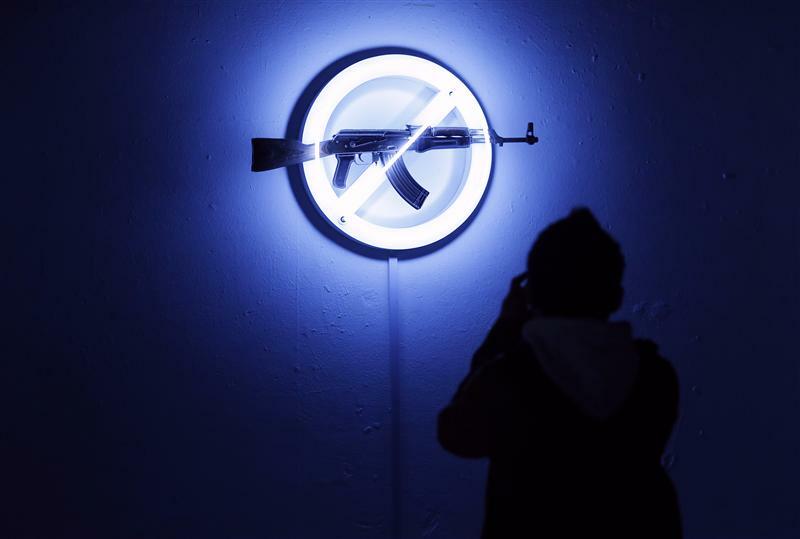 In October, the U.S. Court of Appeals in New York upheld sections of the state’s Safe Act that broaden the definition of prohibited automatic and semi-automatic weapons. On March 7, the New York Rifle and Pistol Association said it would not ask the Supreme Court to hear the case, citing the death of Justice Antonin Scalia as one reason that its chances of getting the law overturned were slim. A Connecticut superior court judge is deciding whether to dismiss a lawsuit filed by the families of victims of the Newtown school shooting. The suit seeks to hold Remington Arms, a gun distributor and a firearms seller liable on the theory that the gun – an AR-15 assault rifle – used in the massacre should not have been sold, because it had no reasonable civilian purpose.